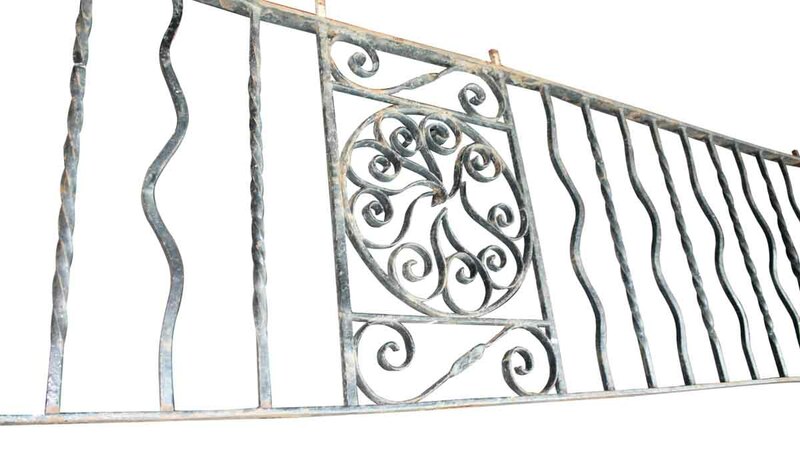 This wrought iron balcony railing is from the early 1900s. 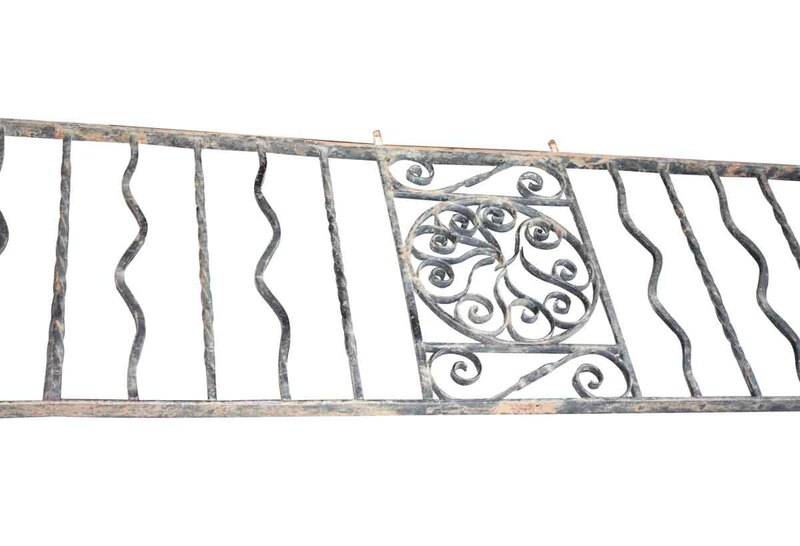 We have two long sections available, making a total of 28 ft. There is a rosette missing from the center of each of the pinwheels, but otherwise they are in overall good condition. This item is priced as a lot.